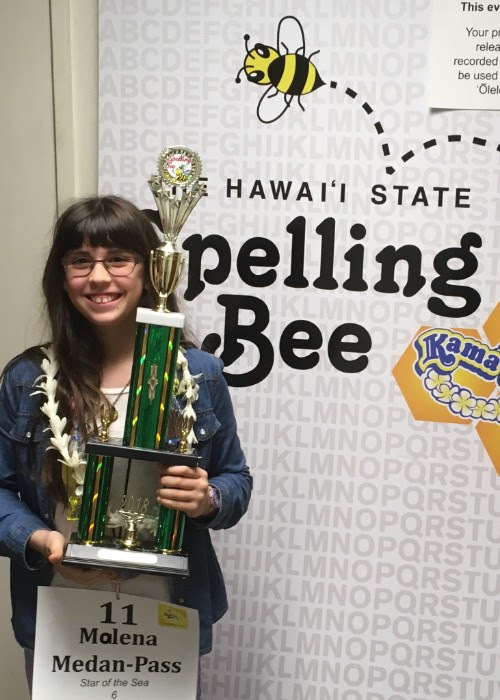 Mary, Star of the Sea School proudly announces that 6th grader, Malena Medan-Pass is the 2018 State Spelling Bee Champion! Malena spelled through 26 rounds of spelling! Her championship word was “finnic”. She is now headed to Washington DC in May for the National Spelling Bee …. watch out, here she comes! CONGRATULATIONS MALENA!! !